A lot of people enjoy sailing just for the pure fun of it. Then there are others who take it more seriously and want to be competitive. Fortunately, Canada provides plenty of opportunities for this. The following are just a few examples of the types of competitions that can be enjoyed by sailing enthusiasts as well as spectators of this sport. This is a sailing regatta that takes place biennially. It is an international event. The first event dates all the way back to 1973 when it was hosted by Seattle. The Swedish sailors are the prominent winners of this regatta. To date, Canada has held two titles for this event. In 2017 Phillippe Dur was a medalist. This is run as an annual event. There are different classes for the competitors. It is hosted in different locations on a rotational basis, covering East, Central and West territories. The two classes open for competition in the regional championships are U17 and open age Regional National Champions. These too are annual events that rotate among the three regions. This event is open to competitors across the country and is an annual event. 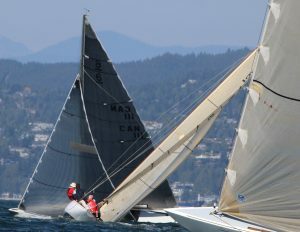 This is a race that takes place off Vancouver Island in the spring. It is a triple crown event. Those that are entering into this racing event on a competitive level must be prepared for some challenges. This race is heading into its 31st year. It is a popular competition with about one hundred boats participating. Sailors have to be prepared to deal with the wind shadows and be able to master the eddies. This is not just a one day race but encompasses fourteen days. It has been dubbed as the wildest challenge for Canada’s west coast. These examples of competitions that exist in the sailing sport in Canada are but a few of the type of events that await avid sailors who want to take advantage of what Canada has to offer. Whether it be for relaxation or competition, there is something for everyone.